Arthur Bray. 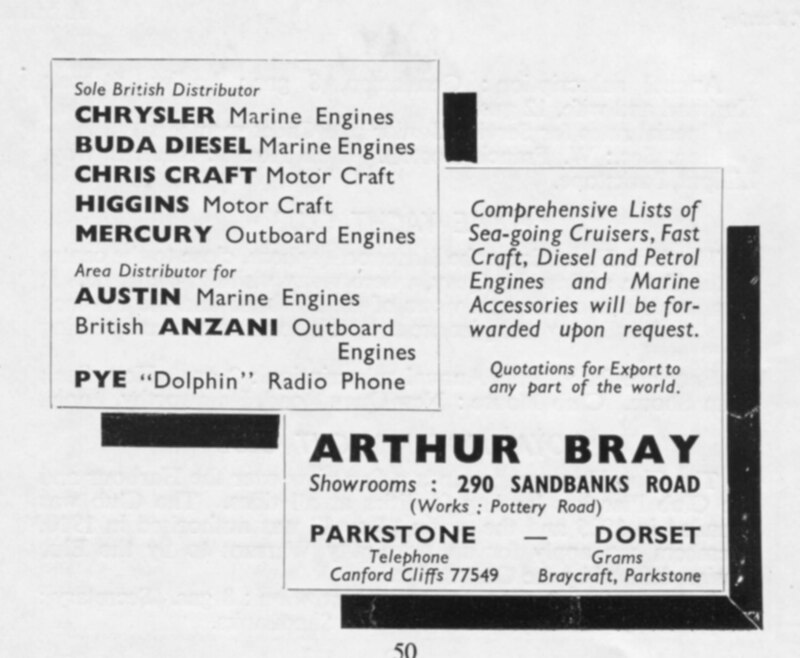 Craft, Diesel & Petrol Engines & Marine Accessories. Showrooms : 290 Sandbanks Road. ( works : Pottery Road ).